T-Fal Nonstick Egg Fry Pan Just $3.68! Down From $7.99! You are here: Home / Instagram / T-Fal Nonstick Egg Fry Pan Just $3.68! Down From $7.99! Grab this amazing offer from Amazon where you can score this T-fal 4.5-inch Nonstick One Egg Wonder Fry Pan Just $3.68! Down From $7.99! Please note that this is an add-on item and will ship with a qualifying order of $25. Make breakfast sandwiches, single servings or perfectly sized portions with this T-fal 4.5-inch Nonstick One Egg Wonder Fry Pan. The non-stick interior and exterior makes it easier for cooking and cleaning up. 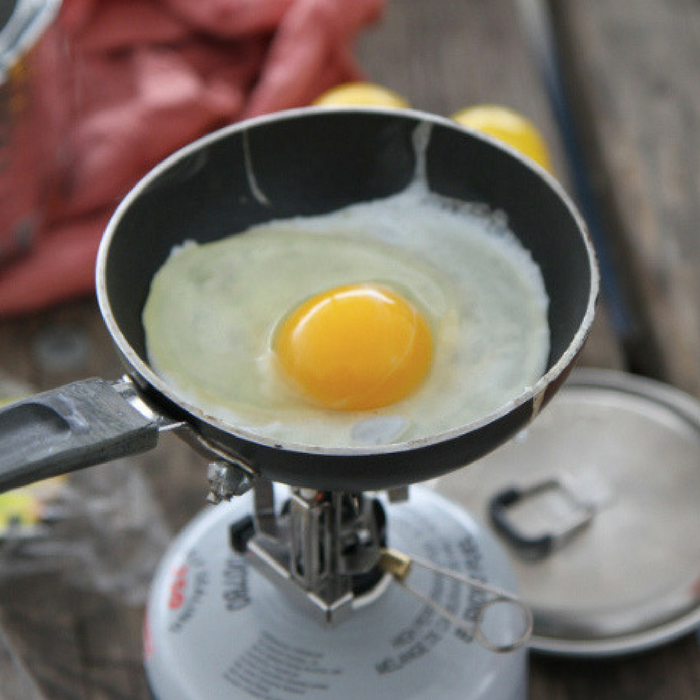 The fry pan’s sturdy, easy-grip handle is comfortable to use and provides stability. It also allows for easy turning with a spatula. This fry pan’s smaller surface area is ideal for making one egg that easily fits on a bun or bagel for a quick and easy breakfast sandwich.